Gusty winds are forecast for the mountains and deserts of eastern San Diego County this weekend. The National Weather Service office in San Diego issued a wind advisory Saturday that will be in effect until 5 a.m. Monday. Winds of 20 to 30 mph, with gusts up to 60 mph along desert slopes, are predicted, according to the weather service. The windy weather is expected to be at its strongest on Sunday. Blowing dust and sand could limit visibility to a mile or less in some areas, and the conditions could make driving difficult for high-profile vehicles like semi-trucks and campers, forecasters said. 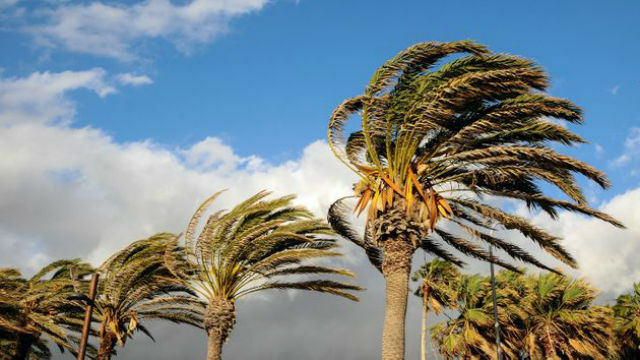 Some sections of Imperial, Riverside, San Bernardino and Los Angeles counties are also under wind advisories that will expire Sunday night and Monday morning.